If you are the proud owner of a mutt or mixed breed dog, you probably love him or her like a part of the family. In fact, it probably really doesn’t matter to you what breed your dog is, because it won’t make you love him or her any less. So, why would you care about a dog DNA test kit? Well, discovering your dog’s breed with a dog DNA test is crucial for uncovering genetic disorders and diseases that your dog might be vulnerable to. Discovering these issues early on in your pet’s life can help you catch and eliminate potential threats before they become major issues. With all that being said, you are probably wondering about the legitimacy and reliability of a breed identification test. Below, you will discover some critical information about these tests, as well as reviews for some of the best dog DNA tests available. 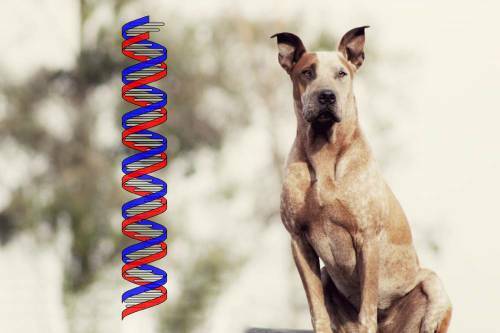 1.1 What Is A Dog DNA Test? 1.1.3 What Can I Find Out? 1.1.4 Are These Tests Accurate? 1.2 Why Are Dogs So Diverse? When you sit down and scour through the market, you will quickly discover that the market for DNA tests for dogs is really oversaturated. This is certainly a good thing. However, finding the best dog DNA kit can be tricky, since you’ll have so many options to choose from. 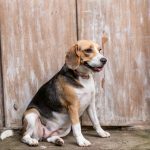 Below, you’ll find a breakdown of factors to take into consideration when attempting to invest in one of the best DNA tests for dogs. So, what exactly is a DNA test for your pooch? What is its purpose? 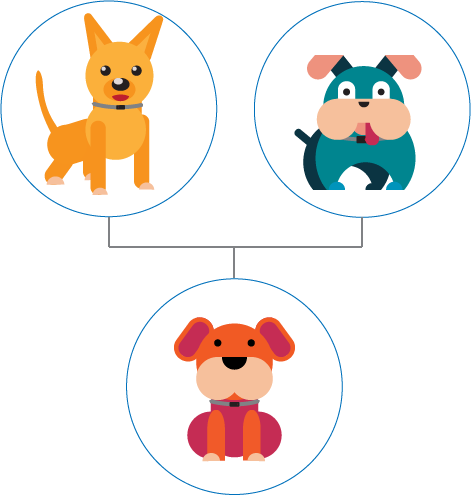 In general, the best dog DNA tests will be able to serve multiple purposes. They’re capable of determining the dog’s breed. Simultaneously, the tests will usually analyze the dog’s health. Some tests can deliver more than 100 health results in a single package. Just remember that each package is different. There are numerous differences between DNA tests for dogs on the market, some of them are much better than the others. This is why it is often pertinent to take your time and carefully read dog DNA tests reviews, before making your investment. So, what are some of the differences that should be noted? They’ll be laid out before for your consideration. 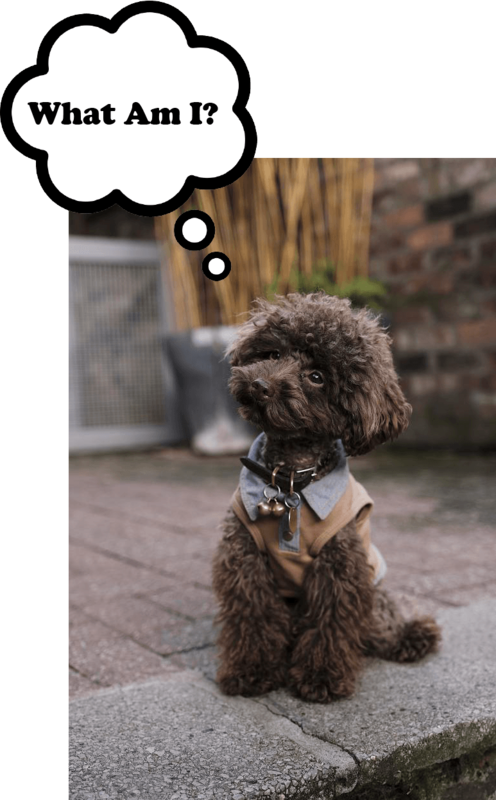 With this in mind, you should understand that a cheap dog DNA test might not be as comprehensive as one that is a little costlier. If you want the most in-depth results, you should opt for the most accurate dog DNA test money can buy. Again, it is pertinent to understand that each canine DNA test kit will be different. Nevertheless, the way in which they work is almost always the same. First and foremost, you’ll need to order the kit. After it arrives, you will need to take a sample from your dog. This is far simpler than you could ever imagine. Just prevent your dog from eating or drinking for at least thirty minutes. After this time has elapses, you should take the included Q-tip and use it to swab the lower pouches of the dog’s mouth. The sponge or swab should be full soaked when finished. Now, place the sample in the protective container and ship it all back to the manufacturer. A lab will carefully analyze the DNA sample and you’ll receive the results in a matter of weeks. So, what can a pet DNA test really tell me? The truth of the matter is that the best dog breed DNA test will be able to provide you with a wealth of information. Many people just want to know what breeds their dog is. The test can help you find out this answer and so much more. It can also help you determine the specific behavior and personality traits of the pooch. The test may also be able to give you an estimation of how big your dog will grow in the future. 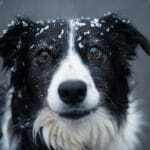 More importantly, a dog genetic test will be vital for better understanding their health. Since some breeds are more vulnerable to certain diseases and health problems, the test will help you determine what your dog’s risks might be. By using one of these tests, you’ll be able to take better steps to prevent certain ailments and keep your dog in better health. 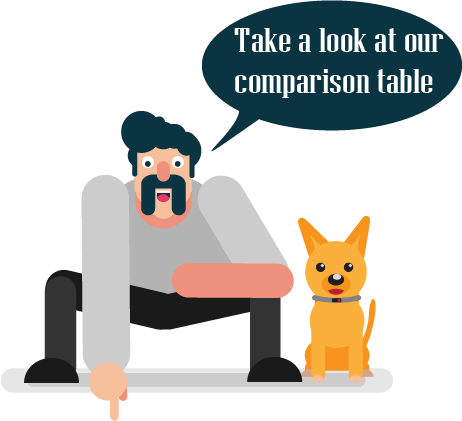 So, what is the overall dog DNA test accuracy? The answer depends widely on the specific test in question. If you spend very little on a DNA test for your canine, you can pretty much guarantee that the results will be less accurate. Spending a little more can definitely enhance the accuracy to some degree. Just remember that these tests are backed by science. DNA testing for dogs is very similar to DNA testing for humans. If it works so well for humans, it will also work exceptionally well for dogs. Just remember to read dog DNA test reviews and opt to spend a little more to ensure you’re able to get truthful and accurate results. Why Are Dogs So Diverse? Why are dogs so diverse in the first place? Why would a mixed breed dog DNA test even be needed? The truth of the matter is that dog breeders have experimented with mixing breeds frequently over the years. This has helped to create new breeds, while also creating a very diverse population of canines on the planet. It can often be difficult to find a single breed dog. Most contain at least two breeds and their heritage may have even more. At the end of the day, modern dog breeders are partly to blame. In the past, owners looking to determine the breed of their canine were left guessing. This all changed with the introduction of the dog DNA test. Today, there are several brands available, but none of them compare to Embark. This brand provides the most accurate results, by testing more than 200,000 genetic markers. Owners and veterinarians can utilize the information provided in the results to create a health care plan that will work to enhance the dogs’ lifespan, fighting against genetic diseases. Embark provides each of its customers with results that are delivered through an “interactive guide.” The results can be viewed on a smartphone, tablet, laptop, PC and other mobile devices. You will be provided with a summary report that is downloadable and printable. In addition to the interactive results, you will have access to some of the top geneticists and veterinarians in the world. You and your veterinarian can utilize the tools provided by this team of professionals to best care for your pet. Embark understands the importance of keeping your veterinarian in tune with what is happening with your dog. In addition to the most accurate DNA results, you will receive a Vet Report, which can be hand delivered, emailed or faxed to your veterinarian. Scientists at Embark have in their database more than 200 breeds, including coyote, village dog and wolf, which cover more than 98 percent of the canines in the United States. According to Embark, they are the only DNA provider to test for village dogs. The breeds Embark tests for includes the Akita, Affenpinscher, Afghan House, American foxhound, American Bulldog, Black Russian terrier, Bloodhound, Boxer and others. 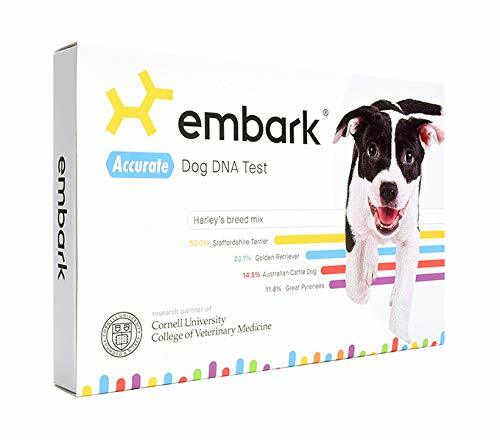 The Embark Dog DNA Test is highly recommended by veterinary hospitals and professional breeders. The interactive results are delivered in a user-friendly outline so they can easily be understood. With a reliable and accurate test like the Wisdom Panel Health Canine DNA Test, you can now satisfy more than just your curiosity. This test will be able to tell you the breed of your canine right down to the mix, if necessary. This will not only make you aware of genetic mutations, but it can help you identify and eliminate potential future illnesses and diseases. 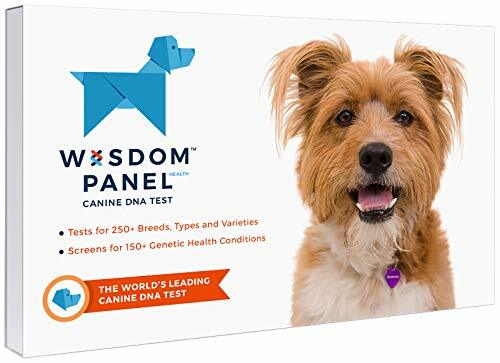 Below, you will discover some of the qualities that make the Wisdom Panel Health Canine DNA Test one of the best tests on the market. When it comes to dog breeds and heritages, there is truly an astronomical number out there. This is not to even mention all the mixed possibilities. This is why the Wisdom Panel Health Test was designed to detect over 250 different breeds of dogs, variations, and mixes. When you combine this with the fact that the test can also identify over 140 disease causing mutations, you are truly looking at one comprehensive DNA test that can pretty much do it all. With the complex detections and readings of this DNA test, you might think that administering the test would be quite a hassle. Fortunately, administering the test will be easier than mixing heartworm medication with your dog’s favorite snack. All you have to do is take the swabs that are provided in the kit, swab your dog’s mouth, and apply the swabs to the dry inserts that are provided. After that, the swabs are sent off to the lab where they will be tested extensively. You can expect to see results in as little as two to three weeks. You are probably thinking, great now I have to pay an expensive shipping fee and testing fee after I already purchased this product. Well, you will be glad to know that this is not the case at all. In fact, the testing cost is included in the price of the product. When you purchase this product, it comes with its very own pre-paid shipping label and box. You don’t have to worry about filling out any information incorrectly, as everything will already be printed out for you. You just have to insert your test in the box and simply mail it out. 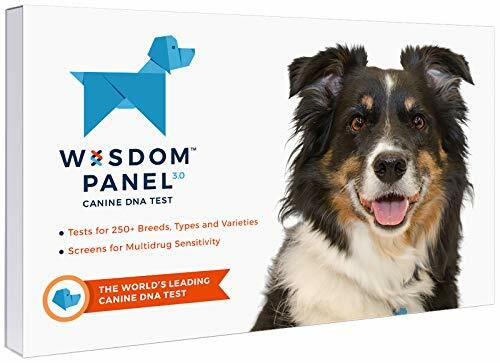 If you want a durable, reliable, and accurate DNA test that can pinpoint your dog’s breed right down to the mix, you need to consider investing in the Wisdom Panel Health Test. With its easy to use application and reliable test results, this is without a doubt one of the greatest pet DNA tests available on the market. Knowing your dog’s breed is crucial to providing your pet with a long, worry free life. 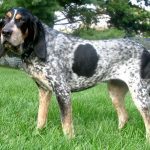 But, with all the mixes, variations, and breeds out there how do you go about accurately discovering your dog’s true heritage? Well, you will quickly find that there are a variety of different dog breed DNA tests available on the market. However, not many of them can provide you with the reliable and accurate results like Wisdom Panel 3.0 Breed Identification DNA Test Kit. With just a little bit of research you will quickly discover that there are truly an extensive number of dog breeds out there. This is not to even mention the combination of mixed breeds. With that being said, this is one of the aspects that make the Wisdom Panel 3.0 Test so amazing. 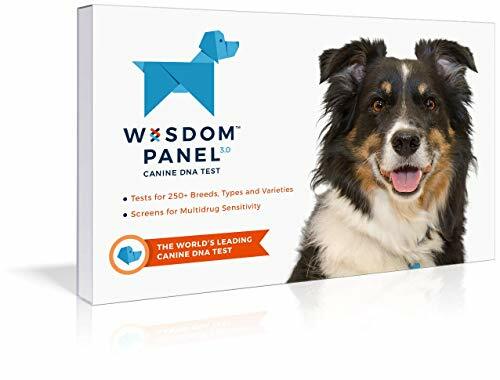 If you have been looking into dog DNA tests you have probably discovered that Wisdom Panel is one of the more popular and reliable manufacturers on the market. Well, this 3.0 version takes all their old test’s qualities and improves on them with cutting-edge technology. For instance, with the newly discovered algorithm the 3.0 version of the test can provide you with even more information and genetic mutation possibilities. Knowing your dog’s heritage can be an excellent way to increase his or her lifespan and provide them with the life that they really deserve. Now, thanks to the new cutting edge technology in the Wisdom Panel 3.0 Test, discovering your dog’s true lineage has never been quicker or easier. 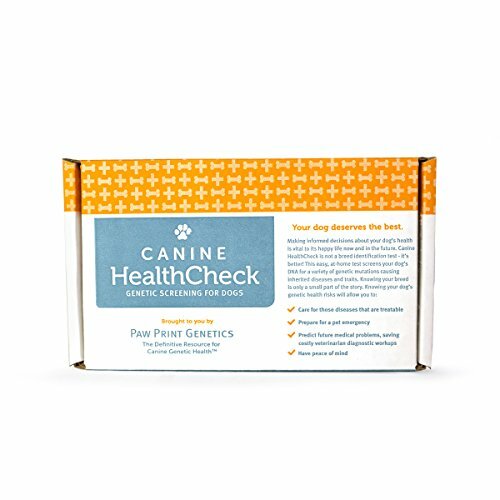 The Canine HealthCheck is a pretty simple DNA test for your pooch. It is slightly more affordable than most alternatives. The samples can be taken in just seconds and you do not even need assistance from a vet. After your samples have been delivered to the lab, you will normally receive your results in seven to ten business days. What all can be determined using the Canine HealthCheck? You’ll find out below. This test offers tons of information. It can detect more than 150 dog diseases and traits. The test screens the canine’s buccal sample to determine what types of disease they might develop in the future. The test is limited other than that. You shouldn’t expect it to provide any breed information. Despite being slightly limited, the Canine HealthCheck is still easy to use and very accurate. The test kit comes with two swabs to ensure you get the most accurate results possible. If you’re only interested in keeping your dog healthy, this is a good investment for you. The Canine HealthCheck Test Kit is not for everyone. Nevertheless, it is a good option for those that want to know what health problems their dog could experience in the future. Otherwise, the results will be very limited. Are you interested in saving money? If so, you should most definitely check out the Mars Veterinary Wisdom Panel 2.5 Breed Identification DNA Test Kit. Despite being affordable, this kit is just as accurate and convenient as the alternatives. You just need to take a cheek swab and send it into the lab. Before you know it, you’ll receive the desired results. On top of that, the test offers pretty good insight into your dog’s background and health. This will be explored in greater depth below. The Mars Veterinary DNA Test Kit can help you determine numerous statistics, including a prediction for the dog’s adult weight range. This can be important for making the right nutrition and diet choices to ensure your dog thrives. The test also offers MDR1 testing. 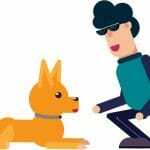 The answers you receive from this test could help your dog avoid serious dog reactions in the future. And of course, the test offers breed insights. Learning more about your dog’s breed can help you pinpoint potential health risks and even better understand your dog’s behavior. One of the best things about the Mars Veterinary DNA Test is that it is designed to be as accurate as possible. When you invest in a single kit, you will receive two swabs. It is in your best interest to collect samples using both. This helps to improve the overall accuracy of the test. If something went wrong with one sample, there is a good chance that the other one is perfectly fine. Each client is different. At any given time, the lab may become overloaded with work. This can cause them to slow to a crawl. Nevertheless, it should be known that most clients will get their results in a matter of three weeks. Some will get the results quicker, while others will have to wait long. Just remember to be patient! The Mars Veterinary Wisdom Panel 2.5 isn’t the most in-depth or comprehensive test on the planet. Nevertheless, you get what you pay for. The test will deliver some statistics that could make a difference in the long run. For those that are looking to save, this test may be worth the investment.